The booming popularity of Airport shopping for Cosmetic, fashion and luxury products and what it means for you? The biggest shopping mall in China, by sales, is Shin Kong Place in Beijing (SKP), topping the list of “Top Ten Biggest Shopping Centres”. Last year, the total sales generated at SKP was 12.5 billion RMB, equal to 1.4 billon GBP. But if you take a closer look at the “Top Ten Biggest Shopping Centres” in China, you’d find something a bit surprising — Shanghai Pudong Airport ranked No. 8 by its duty free goods sales which reached 7.5 billion RMB last year. It’s no secret that Chinese tourists spend generously on shopping while they travel, especially on their journey to other countries. 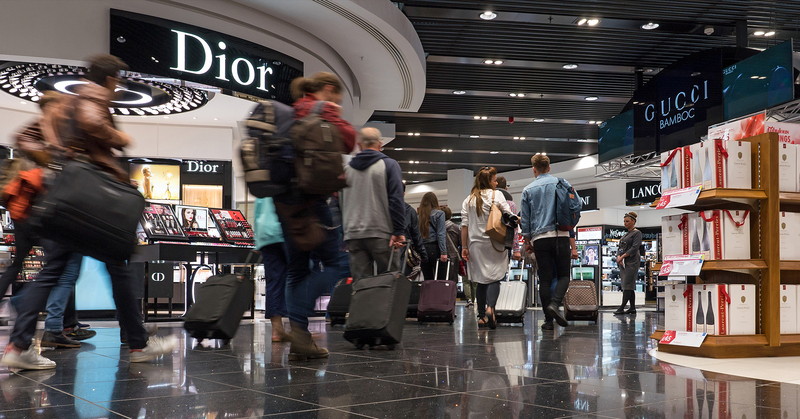 According to Oliver Wyman, the management consulting firm, 58% of of Chinese tourists expense are spent on shopping, among which, 38% happened in duty free shops in airports. The total revenue, though, is the eye-opening 353 billion RMB. Cosmetic, fashion and luxury products are the most desired products by Chinese tourists, reason being China imposes steep taxes on imported cosmetics and luxury products, sometimes can be as high as 50%. In the past five years, number of cross-border trips has skyrocketed to 130 million, while in China there are only about 120 million passport holders. This means the potential has yet been fully realised. We worked with London Heathrow to launch an influencer campaign to promote its Personal Shopper service. We invited iconic Chinese fashion blogger Anny Fan to experience first hand and share with her hundreds of thousands of followers on Chinese social media. Want to know more? Click here to get in touch.